She’s an Oscar winner, a new mum and, it seems, a dab hand at interior decorating. 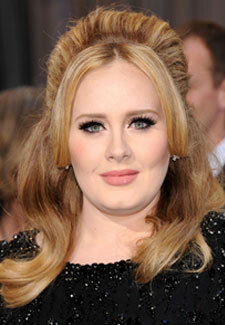 A-lister Adele has gone all rock n roll on us, and decked out her new south coast home with expensive Andy Warhol prints. The singer, 24, who has moved in with boyfriend Simon Konecki, 38, and their six month old son Angelo, has spent tens of thosaunds of pounds on rare butterfly canvases by the iconic artist for her living room. She’s also splashed out £15,000 on arcade games and pinball machines for a luxury game room.